In addition to the basic Models (View PowerPoint Presentation)the EIZ includes thermal extenders like RR's and Thermoplates. Special pricing is provided with these time tested MHI thermal products. The Cascade e-Ion Zapper™ (EIZ) Furnace uses a scalable CleanElectricFlame™ technology platform to provide non-contact, continuous heating with accurate temperature control in a compact, versatile design. The Cascade e-Ion Zapper™ Furnace Category allows for processes to complete while cable or wire are moving through the furnace both normal and in line with plasma. The Cascade e-Ion Zapper™ Furnaces are capable of delivering the rapid heat rate needed for RTP, melting, brazing and heat treating. The Cascade e-Ion Zapper™ is ideal for applications requiring hardening with extremely small HAZ, because it allows for a lower residence time than with traditional heating methods such as induction. The Cascade e-Ion Zapper™ allows for rapid processing in air as well as a number of other gases. Processes can be completed while wire or cable is moving through the e-Ion Plasma™ environment. 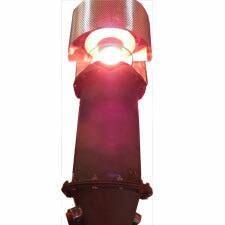 This type of heating provides the rapid high temperatures necessary to melt and heat treat. e-Ion devices feature higher heat up rates compared to competitors. The Cascade e-Ion Zapper™ Furnace allows for easy manipulation of parts, all within 15kW of power. Compare the Cascade e-Ion Zapper™ Furnace to existing technologies and you'll quickly see how a Cascade e-Ion Zapper™ Furnace can reduce costs and improve efficiency. Not sure if the Cascade e-Ion Plasma™ is right for your application? Arrange to have your part treated during a live video conference. Up to 200°K/s Heat-up Rate Possibilities. EIZ extenders can enhance even this heating rate. Possible species include N2, , N2+ , N+, e− in the e-Ion Plasma of nitrogen. Almost all commonly employed elemental or molecular gasses/species can be ionized including Ar, Xe, H2O and others. The cascade e-Ion Zapper™ Furnace features an extremely uniform temperature zone or as apropriate for the custom modification..
Eurotherm process controller capable of up to 20 programs with 16 segments per program. RS 232/485 Communications option available to connect to PC. New Dacs 2 with USB. Power controller featuring double back-to-back phase angle fired SCRs, with current limit, adjustable soft start, and quick response to control signal. Equipped with over-temperature control through an independent thermocouple to monitor overheating. Up to eight thermocouples for monitoring temperature at different locations. The XPAN™ control panel rests inside a NEMA enclosure that meets NEC and NFPA requirements for safety and reliability. *SDPM position (custom orders only) controller handles up to 10 programs with an unlimited number of steps, time delays, and repetitions. Programmer has a non-volatile memory of 32 KB for over 100,000 hours. Computer interface control system has complete DDE dynamic data exchange by SCADA/Windows software which provides nine simultaneous communication ports. Vacuum and atmosphere attachments available. The Plasma creates its own clean environment in air. Zapper™ Systems provide non-contact, continuous heating with accurate temperature control in compact versatile use designs. 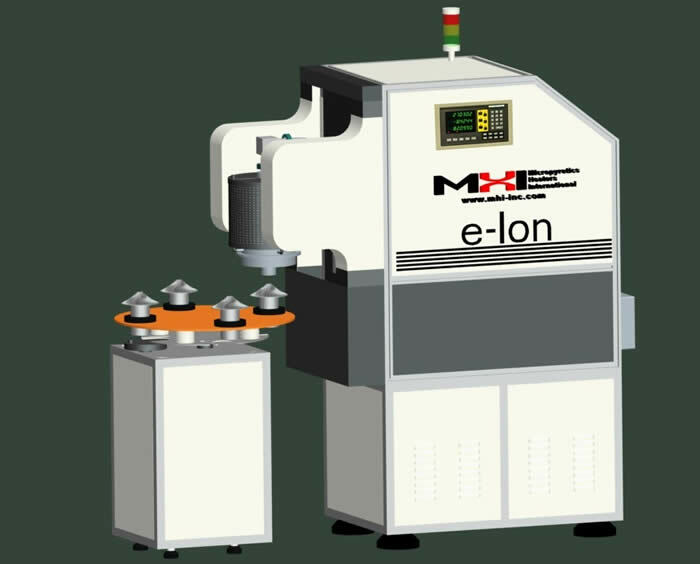 For knife-edge, wire and cable applications, the e-Ion Zapper™ system can provide normalizing, stress relieving, annealing, hardening, curing, surface melting and coating. Processes may be completed while wire or cable is moving through the e-Ion Plasma™ environment. 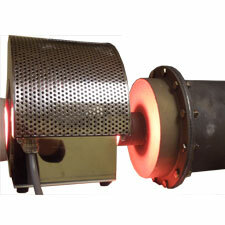 This type heating provides the rapid high temperature heating necessary for melting and heat treating. Our unique e-Ion Plasma™ features novel technology that allows it to replace existing processes while simultaneously improving efficiency and productivity. Immerse in CleanElectricFlame™ for non line-of-sight processing or BendHeat™ requirements. Cascade e-Ion systems allow for continuous sintering (3Dsintering™) or hardfacing without the use of hydrogen. All ionic gasses are of a reducing kind. Plasma polymerization of many unique polymers and blends and their surface deposits remain unexplored with this new method.